So blah blah rain / stupid creek project / flooded basement and my son went downstairs to clear out junk to prepare for another yet ill-conceived solution from the creek project “engineer”. This one involves involves cutting the concrete basement floor. But this is not another kvetch – this is a moment of great excitement. I’m not one to talk about the internet search terms that bring people to my blog but I’ll tell you now that from the moment I started blogging about them in early 2010, “Dixon- Ticonderoga Executive Mechanical Pencil” is the #1 search term. I’ve gotten visits every single day because of it. Can you even breathe? I can’t ! I cannot even breathe. I don’t even know what I want to say next about this. 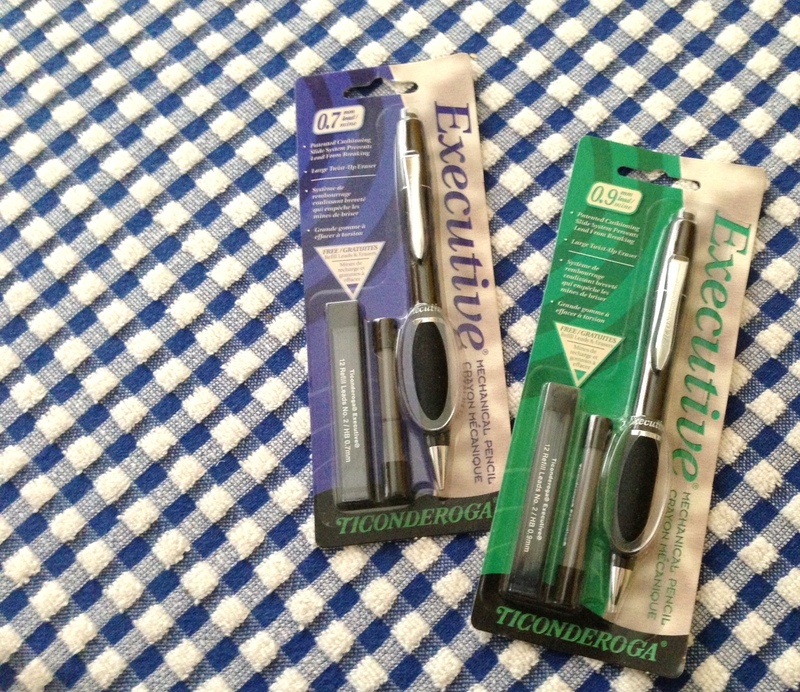 Are you seeing that from the sky basement dropped not just one but two Dixon-Ticonderoga Executive Mechanical Pencils? And that one of them has a 0.9mm lead? I didn’t even know they made that. I am going to make a concerted effort to locate my 2013 Daily Planner -which I abandoned in March, as is my usual behavior – and use one of these to write in it. Every day. I swear this time.